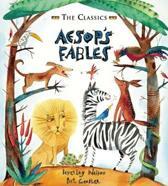 Beverley Naidoo is a South African author of children's books who lives in the U.K. Her first three novels featured life in South Africa where she lived until her twenties.She has also written a biography of the trade unionist Neil Aggett. The Other Side of Truth, was published by Puffin in 2000, is a story about political corruption and how that affects the lives of the children of an outspoken writer. For that work she won the annual Carnegie Medal from the Library Association, recognising the year's best children's book by a British subject. Naidoo won the Josette Frank Award twice – in 1986 for Journey to Jo'burg and in 1997 for No Turning Back: A Novel of South Africa. Beverley Naidoo was born in South Africa. She grew up under apartheid laws that gave privilege to white children. Black children were sent to separate, inferior schools and their families were told where they could live, work and travel. Apartheid denied all children the right to grow up together with equality, justice and respect. As a student, Beverley began to question racism and the idea that white people were superior. At 21 she was arrested for taking part in the resistance movement. In 1965 Beverley came to England. She married another South African exile. Apartheid laws forbade marriage between white and black people and barred them living together with their children in South Africa. As a child Beverley always loved stories but only started writing when her own children were growing up. 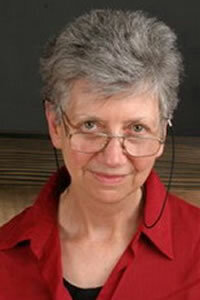 Her first book, Journey to Jo'burg, won The Other Award in Britain. It opened a window onto children's struggles under apartheid. In South Africa it was banned until 1991, the year after Nelson Mandela was released from jail. A few years later, when the parents of all South African children had the right to vote for the first time, Nelson Mandela was elected president. Journey to Jo'burg, Chain of Fire and Out of Bounds are set in South Africa under apartheid, while No Turning Back concerns the experiences of a boy trying to survive on the streets of Johannesburg in the immediate post-apartheid years. The Other Side of Truth and its sequel, Web of Lies, deal with the experiences of Nigerian political asylum seekers in England. Her 2007 novel Burn My Heart has an imagined point of reference in the boyhood in Kenya of a second cousin, Neil Aggett, being set in the 1950s during the Mau Mau Uprising. 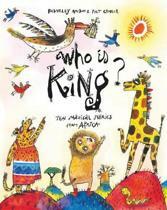 Beverley Naidoo has also written several picture books, featuring children from Botswana and England. In 2004, she wrote the picture book Baba's Gift, set in contemporary South Africa, with her daughter, Maya Naidoo. In The Great Tug of War and Other Stories she retells African folktales, the precursors of the Brer Rabbit tales. Beverley Naidoo heeft een resultaten op Youtube! Klik hier om naar Youtube te gaan. Beverley Naidoo heeft een Wikipedia pagina! Klik hier om naar Wikipedia te gaan. Beverley Naidoo heeft een LinkedIn pagina! Klik hier om naar LinkedIn te gaan. Beverley Naidoo heeft een IMDB profiel! Klik hier om naar IMDB te gaan. Beverley Naidoo heeft een eigen website! Klik hier om naar de website te gaan. Hieronder vindt u een lijst met alle gevonden boeken van de auteur Beverley Naidoo. De meest gevonden boeken zijn Keten Van Verzet, Out Of Bounds, The Other Side Of Truth, Burn My Heart en Journey To Jo'burg.